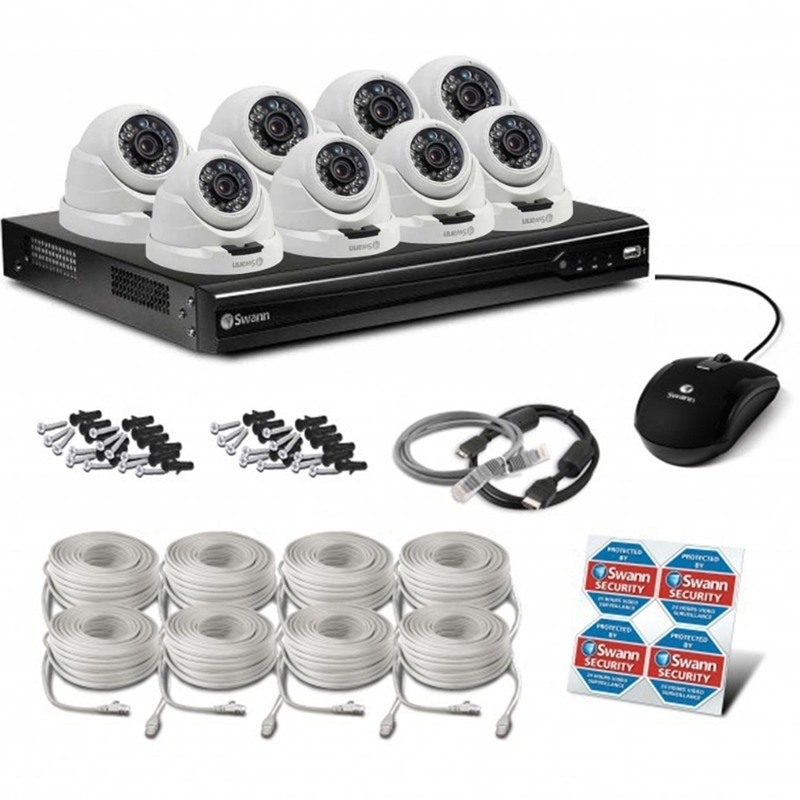 Here is a great kit perfect for home or small business. 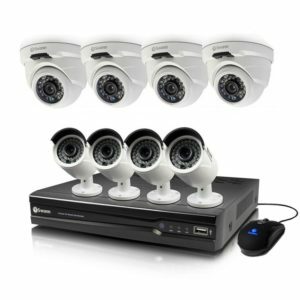 This CCTV Security Camera kit consists of an 8 Channel Recorder with a 2TB Hard Drive, 8 x SWNHD-819CAM Dome 4 megapixel indoor or outdoor security cameras. 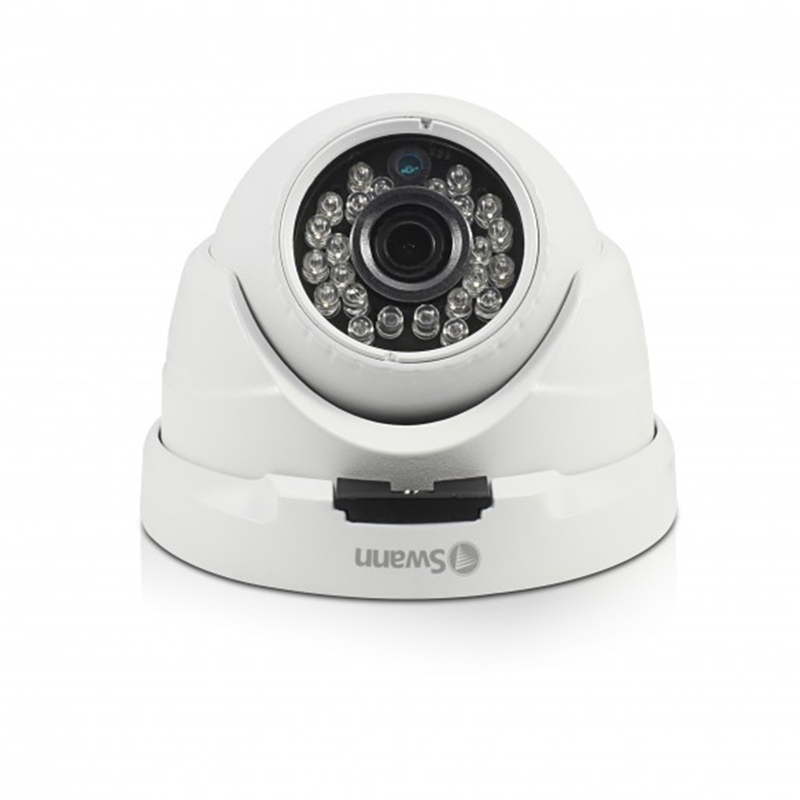 The cameras are capable of up to 30 meters night vision and the 4MP image resolution ensures you get clear usable footage of any incidents that might occur. 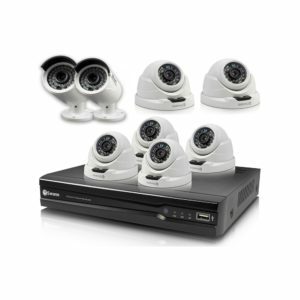 The Swann 87400 series NVR includes a 2TB HDD to store your recorded footage and can be connected to your existing TV screen or computer monitor using the VGA and HDMI outputs to watch live or review recorded footage. 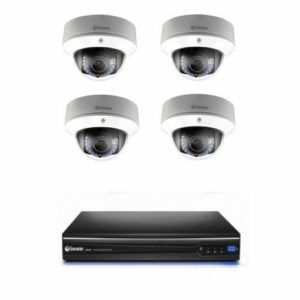 We understand that not every kit may suit every customer and that you may only require 7 Bullets or 1 Dome and so on. 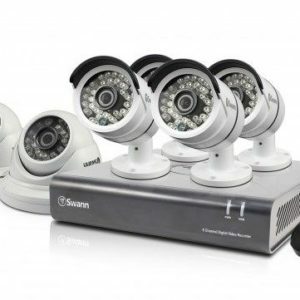 We customize CCTV Security kits every day, it is not hard for us to pull out one or 2 cameras and swap with another style. Please call us for your customized requirements. 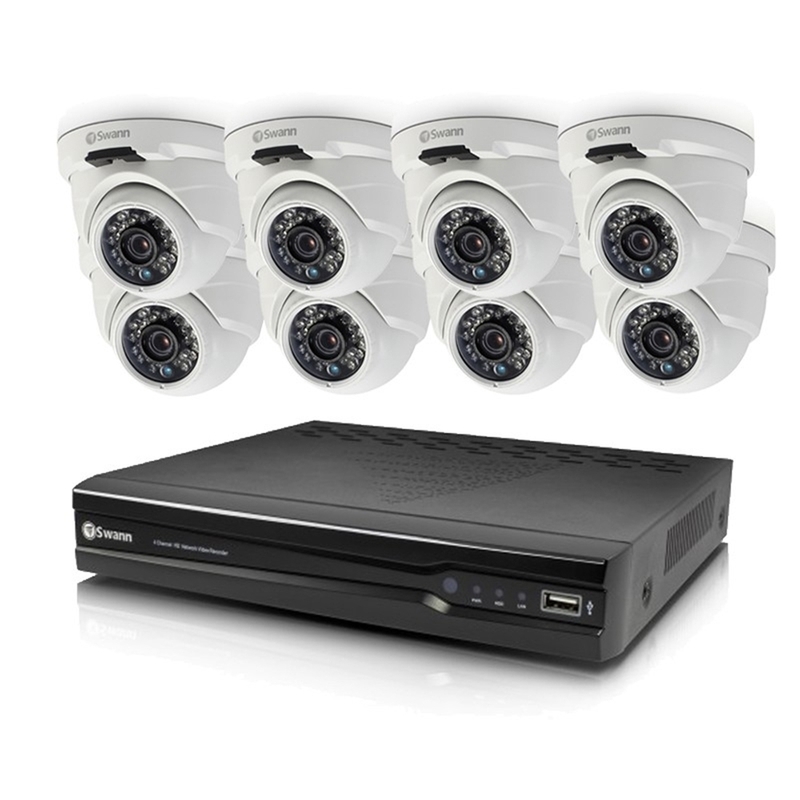 This is a common question asked, do I need to run cables? For long term trouble free operation and reliability, it is always better to run a cable. 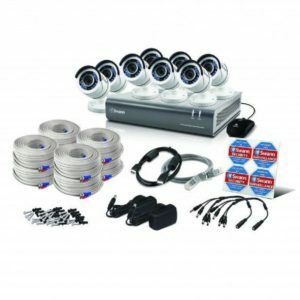 Most of our kits on this site require the installation of a cable to each camera, the cables then simply plug into the recorder, turned on and the system works. 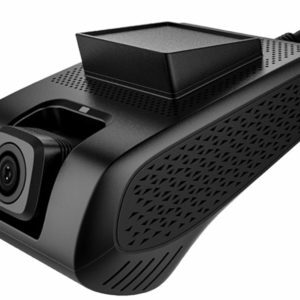 You do not need to configure the cameras as they will work out of the box. 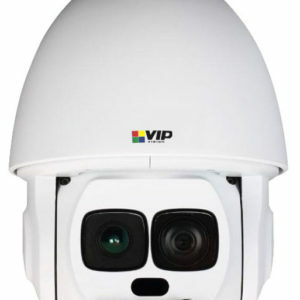 Wireless cameras, although convenient often fail due to interference, battery problems or simply due to the technology, having said that – occasionally running cables is not an option and wireless is required. 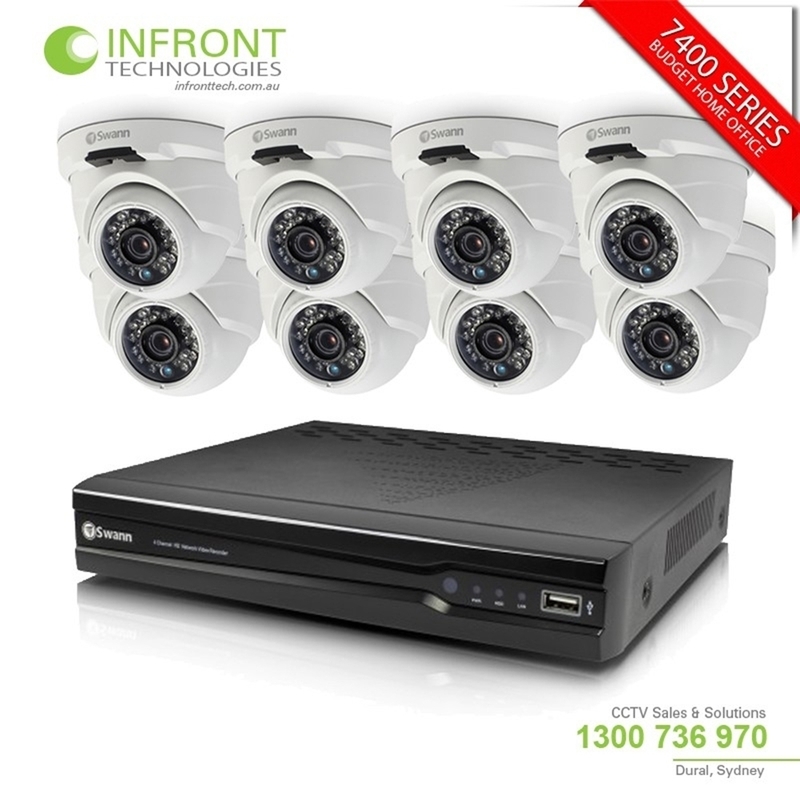 Please see our range of wireless security camera systems.